I have been a queen of frugal living for many years, not always out of need or necessity, but more because I believe in embracing simple abundance, not being wasteful, and actually enjoying a more simple, uncomplicated life. My mother has teased me that I can squeeze a penny 'til Lincoln screams ;), but not in “miserly” way. In fact, I can afford to be much more generous with others because I am skilled at living efficiently. I love to reuse, up-cycle, and live creatively. It adds a depth to daily life and keeps me appreciative of the goodness of simple things. 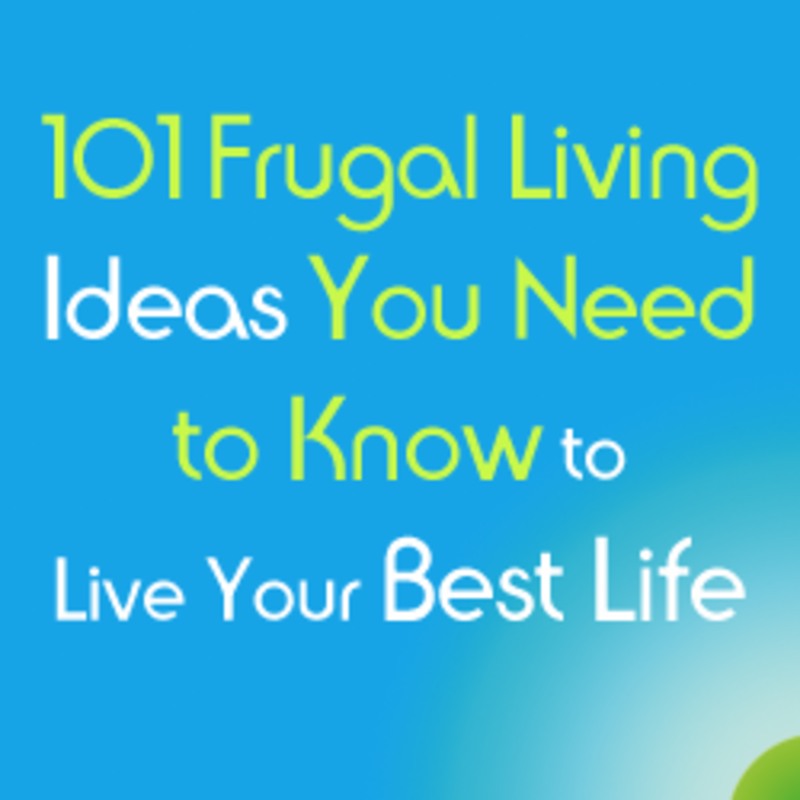 What follows are 101 of my best frugal living tips arranged by topic. I hope you will find some ideas here that help you save not only money, but time and energy as well. I will also share ideas that will not only help you save money, but earn more money. This hub is huge so you're going to want to bookmark it and maybe even print it for future reference! A lot of waste goes on in households when it comes to groceries and poor eating habits. Here is how we cut down on our bills every year. Invest in certain items up-front that save you money in the long run. A food dehydrator is an excellent investment. It allows you to make your own snacks like dried fruits, jerky, and more. It also helps in the preservation of food from the garden like “sun dried” tomatoes which will be good for several months, are flavorful, and nutritious. A Crock-pot or slow cooker. Use this in the summer to reduce electricity consumption if you have an electric stove. This also works great all year allowing you to throw meals together in the morning and have them ready when you return home. Crock-pot meals can be made ahead, frozen, and then tossed in on low for easy, healthy home cooked meals on busy nights. Green Bags for produce are a life-saver – literally. These bags are inexpensive, but effective. Find them in a dollar store for a few bucks and they will double the life of your produce, bread, and cheese. This is especially true if you use them in addition to proper humidity control settings on your refrigerator. A deep freezer is a great investment if you have the room. You can throw together frozen meal packets that can be quickly thrown in the oven. You can also buy more items when they are on sale like veggies, meats etc. and freeze them for later use. Plastic storage containers and bins can help keep dried goods fresh longer. Flours, sugars, rice, grains, cereal, beans, and more can be stored in plastic bins or containers with air-tight seals. It keeps pests out, ensures dried goods don't get moisture in them, and keeps items more flavorful. A food processor is a great tool to have on hand when you need to cut time spent in the kitchen. A food processor can allow you to chop a lot of vegetables ahead which you can then store for ease of use. Never buy pre-cut/chopped produce. You pay at least 3x's as much for it when you can easily do this yourself, quickly with the proper tools. Bread Machines are a great way to cut time and expense. Avoid store bought mixes and create breads from scratch. Recipes abound online. A machine does the work for you so that you can attend to other things. Be careful with coupons as it encourages you to buy products you don't need or would not otherwise normally use. I know due to the popularity of “extreme couponing” this idea is not popular, however coupons should be used rarely and only on items you already purchase and need. 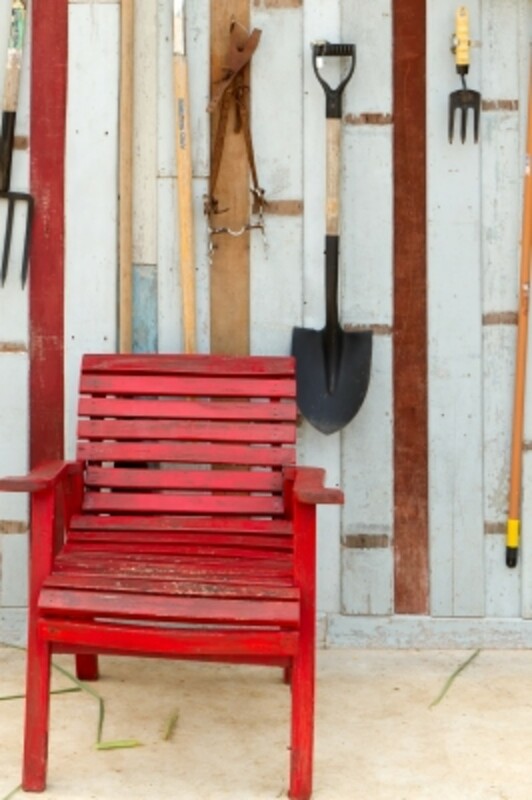 Shop in your own backyard, or patio, or windowsill. Grow your own as much as possible. Store bought produce is outrageous and full of pesticides. It isn't fresh and therefore the nutritional value is greatly reduced. Even people who live in small places can grow plants in containers. Tomatoes, Peppers, and many herbs are very easy to grow in containers and can provide enough produce to can, freeze, or dry for later use. If you have room for a garden, consider an organic straw bale garden which is easy to start and maintain. The bales from previous years can be used as free compost for the following growing season. Get more information here. If you buy produce, buy it fresh and local. In most areas, you will get a better deal at roadside stands than you will ever get at a supermarket. Purchase fresh and can, freeze, or otherwise store extra for the winter months. If you can't purchase fresh, buy frozen and not canned. Frozen vegetables are more nutritious and better for your health. Never use price as an excuse to engage in bad eating behaviors. That junk food you're saving money on now is going to cost you ultimately. Poor health leads to lost wages, medical expenses, and sometimes even financial ruin. Consider how your choices today are likely to affect you tomorrow. Buy ingredients in bulk only if you can actually use them before they go bad. It does no good to buy a 30 lb bag of flour if you can't use it before it eventually spoils. Consider your actual needs – not just the price. Wasted food is wasted money. Keep an inventory of what you have on hand to avoid waste and easily see what you need. This helps avoid over-purchasing. Sometimes it's hard to see the back of the pantry or freezer. Keeping an inventory will prevent waste and excess spending. Consider programs like co-ops. You save money by buying in a large group once per month. Angel Food Ministries unfortunately shut down in September 2011, however many communities do have cooperatives. The downside is that there isn't usually much variety, you get what is in season or on sale, but it can be a great way to stock a freezer and you can also trade with family or other group members. Some bigger chains do have good sales and promotions. One local chain here that tends to be pricey does weekly “10 for $10” sales. If you buy only the sale items and get the remainder of your groceries in a less expensive location, you can save money. Their hope is you'll not go to another store and will pay higher prices for everything else for convenience sake. The Nesco food dehydrator is amazing for the price. It has adjustable temperatures so you can dehydrate anything from jerky to fruit snacks and get it right. I also love that you don't have to stop and rotate trays constantly like I had to with my old one. For those whose work is seasonal or who just want to be prepared for lean times, stockpiling, when done correctly can work very well for saving money. Stockpiling is not the same as hoarding! Your stockpile should consist of needed items your family will actually use within one year. You don't need a warehouse full of toilet paper because it is on sale, that is a waste of money and space. It takes time, space, and resources to save your stockpiled items so use good sense when starting and maintaining one. If you stockpile, keep a running list of inventory and cross off what you use and add. You may use several areas in your home, or just one for storing stockpiled items. The key to success is a running inventory and knowing what goes where. Use good labeling and records. An easy way to do this is keep a clipboard with an inventory sheet pinned up in storage closets and pantries. A quick look at the sheet will tell you what you need before a weekly shopping trip. Even small homes can practice stockpiling. Store items in under bed storage bags, in the pantry, etc. the key is knowing all your areas and what is kept where. Make it yourself doesn't apply only to food. There are many items you are wasting your money on that are completely unnecessary and may even be harming you. You do not need 18 bottles of different cleansers to keep your home clean and sanitized. In fact, doing so may be increasing your risk of breast cancer, lung diseases, and exposure to antibiotic resistant infections. Learn how to make your own cleaners that actually work. Laundry detergent is a huge racket. We make our own for an initial investment of approximately $30 for a full years supply. This is for a family of four with a teenage boy, a toddler, and a handyman husband. It works on all clothes and dissolves fully in cold water. You only need 1 Tbsp per load – seriously. We've been conditioned to believe we need expensive detergents to make our clothes clean. This is simply untrue. Here's our recipe – use it and love it too! Soap! Make your own soap. Learning to make soap is fun. I have a hub on making soap in a crock-pot. The initial investment is a little pricey. It will take $30-40 for a 3lb batch. This will yield dozens of bars of soap however that is longer lasting and much better for your skin than store-bought. Yes, you can buy soap for $1 a bar or so – but it isn't this high quality and it will dissolve quickly. Homemade soap bars last a long time. One batch should give you soap for a year or more. Conditioners – again make your own. You don't need and will not benefit from pricey hair conditioners. You can get shiny, healthy hair at home for a fraction of the cost of a bottle of salon conditioner. Bonus, no chemicals to strip your color or leave a nasty buildup. Beauty treatments are another area where we lose a lot of money. You can make your own scrubs for next to nothing as well as your own moisturizers that are alcohol and chemical free. Did you know lotions and creams that add alcohol and other chemicals actually keep your skin chronically dried out so you have to use more of their products? Now you know. Use homemade! Get a jar of extra virgin coconut oil – this is an excellent beauty treatment for hair, the face, and even your teeth! It can be used to create a homemade conditioner, as a skin treatment either in soap or by just applying a bit to your face as a deep moisturizer. You can also mix it with a bit of sugar and salt to create a gentle exfoliating scrub. Coconut oil can also help you prevent and reverse tooth decay and whiten your teeth. Invest in good curtains. Insulated, light blocking curtains can help keep your home cooler in the summer and will hold heat in during the winter. Use these in bedrooms and other areas you can zone off during the day. This will reduce energy consumption and save you a lot of money on your heating/cooling bills. Make homemade draft blockers for the bottoms of your doors with thin pool noodles or insulating foam strips. Cut the foam almost in half, slide under the door and it will wrap around the bottom. Cut to fit. You'll be amazed at how much this cuts down on energy bills. You can make them more appealing by sewing them into cute covers that match your décor. Another alternative is to sew homemade bean bags that are the length of the door and keep them in front, but it's more effective to create one that stays attached to the door. CFL bulbs or LED lighting. This is one of those areas where you spend more up front, but over time you save a lot of money. The only places you shouldn't use a CFL are in rooms where you go quickly in and out, like bathrooms, closets or pantries. The rapid off and on greatly reduces the life of these bulbs. Use them in places where you tend to have the lights on for longer periods of time. Buy an inexpensive cleaning brush and use it every couple of months in the dryer lint trap and on the rear refrigerator coils. This extends the life of your appliances and also helps them run more efficiently. When replacing appliances and electronics, look for energy efficient items with the energy star seal. Maintain all appliances regularly to keep them efficient. This is true for everything from TV's and computers to refrigerators and washing machines. Unplug items when you are not using them and shut down computers completely at night. This will save a lot of electricity over time – up to 10% a year. Practice zone heating and cooling in your home when possible. Heating and cooling only the main living areas during the day, switching over to bedrooms at night. Adjust thermostats in areas that are not in use. Light blocking thermal curtains are a bit of an investment, but they pay for themselves easily in a few months. This has really cut down on our energy consumption in both summer and winter. Our bedrooms have large, south facing windows. By blocking out the light during the day time, we are able to keep the upstairs much cooler. If you have small children start a clothing exchange with a group of other moms in your family, church, etc. Most kids outgrow their clothes before they are extremely worn. An exchange group can keep kids dressed for free. Shop at consignment stores like “Once Upon a Child” where you can trade in gently used clothes and other items for store credit, which you can then use to buy other gently used items. It's a great way to save money and find a wider variety of items. There are often consignment shows for adults that work in similar fashion. Thrift Stores and yard sales are a great way to not only purchase clothes for today, but also next size/season up. I have purchased a lot of great clothes at yard sales that I later was able to exchange with friends in our group. Thrift stores are great places to find bags, scarves, shoes and even jewelry. Accessories are fun to find and can be re-purposed into something uniquely your own. Start a meet-up or group in your area to swap coupons, share knitting supplies, or whatever other idea you can come up with. This provides fellowship with like minds and is free to do via websites like meetup.com that are interest based. Already belong to a church or community group? Start a hobby group and gather together to share knowledge and even supplies. Shared knowledge is always a great value and most of us love to give and share freely. Interest groups are inexpensive and provide for our mental health as well as give us an outlet to share. Decoupage and paper crafts are very inexpensive and there are tons of places online to get free printables and other ideas. Pinterest is great for this. If you aren't pinning yet – you should start! Not only can you find great projects and information, you can use it as a sort of vision board to set goals and even keep recipes! Homemade paper is easy to make and a great way to use shredded paper scraps, paper bags, dryer lint and other items you would otherwise throw in the trash. Homemade paper can then be used in other crafting projects. Use yarn remnants for socks or scarves by blending them with a ball of neutral yarn. A great way to reduce waste and get more for your money. Use your own backyard. Flowers and other foliage can be arranged into great projects. Use brightly colored flowers and create beautiful artworks and wall hangings with pressing or flower pounding where you transfer the pigments into white cotton cloth. Live near the ocean? Collect seashells and create everything from custom picture frames and mirrors to jewelry. Flea market finds, Craigslist Freebies and even Big Trash Day in your community can be a great way to find free and inexpensive things to upcycle. Ideas abound on the internet. I have seen beautiful things made from wood pallets, old silverware and even broken dishes. Purchase craft supplies on eBay. I have found tons of great craft supplies inexpensively via eBay over local craft stores. If you make handmade things that are simply amazing, sell some of your work for extra cash on sites like Etsy. Reconsider your TV habits. This could be a whole hub in and of itself, but TV is a great time and energy zapper. Cable is expensive. Our solution? We purchased a Roku unit which is a little wireless box that you can use to stream video on your TV. We purchased the 8.99 monthly plan from Netflix which means we watch on-demand TV with no commercials. There is plenty of variety on Netflix and there are many free Roku channels as well. 8.99 per month for all the TV you could want, but we find we watch it less and spend the bulk of our time doing other things. Use your local library! There is no greater resource for reading, learning, and even watching free videos. Libraries are a lot of fun and they instill a love of learning in children when you make it a regular routine. Ask yourself before you toss something in the trash mindlessly – is there something else I can do with this? Our landfills are becoming a problem, and many times it's due to mindless waste. Recycle or reuse whenever possible – it will save you money. Everything from eggshells to dryer lint and even coffee grounds can be reused. It's true! Eggshells when broken up very fine are great in the garden around plants. They provide needed nutrients and also deter bugs. Dryer lint can be used in clay and homemade paper. Coffee grounds can be used to exfoliate the skin and reduce cellulite, feed roses and other garden plants and much more. See Ten Fun and Useful Ways to Reuse Coffee Grounds. If you have room, start a compost pile. It is a great way to turn your trash into lush fertilizer that will make your garden amazing. Use Freecycle. Freecycle is a great way to pass on your gently used goods that you no longer need. You can also find items you do need for free. The whole premise is to keep things out of landfills. Go to Freecycle.org and see if there is a group in your community. If not, consider starting one. Regular exercise will GIVE you energy and mental clarity – something all of us can use more of right? Exercise can be done for free in the home. Dance with the kids, invest in a treadmill or Elliptical machine and use it daily. If you buy the machine and its in your home you are more likely to use it. There are a million ways to talk yourself out of going to the gym. Don't want expensive machines? Get a set of dumbbells, resistance bands, etc. and add more movement into your day. Your wallet and your mind/body will thank you for it. You'll enjoy your life and your family more when you have energy and time to spare because you made yourself a priority. You'll have money to spare also if you do all you can to work against preventable illnesses. Don't smoke and keep alcohol consumption to a minimum, not only for health reasons, but for the sheer expense of maintaining these bad habits. Invest in a proper multivitamin to fill in the blanks of your diet. Store bought cheap vitamins only result in expensive urine because the body cannot absorb them properly. A whole foods vitamin like Alive brands work very well. They are more expensive than big box store brands, but they are still reasonable. Purchase online at Amazon rather than in health food stores for even bigger savings. Don't wait until you're sick to see the doctor. Make regular checkups like mammograms, paps, and general wellness checkups a part of your yearly or bi-yearly routine. Do this in addition to developing healthier living habits to save money and improve your quality of life. Prevention is always less expensive than intervention. Amazon Prime is a great program. If you happen to be a student you can get it half price. Otherwise, it's 79.00 per year, but can still be a worthwhile investment. For me, it works well because I run a home business, and live in an old house that we are always fixing up. I can purchase my supplies for less than in the store, with no sales tax and no shipping fees. For big ticket items, like my new whole house air conditioning unit I purchased last year - this really ads up. Prime is also convenient for those of us who live in more rural locations. Online shopping also allows you the luxury of research, seeing a wider variety of items, and not having to spend time and gas money going from store to store. My favorite places to visit online are Amazon, eBay and Craigslist. For Home Improvement projects Amazon and Craigslist have been life savers. Also, look for a Habitat for Humanity store in your area. 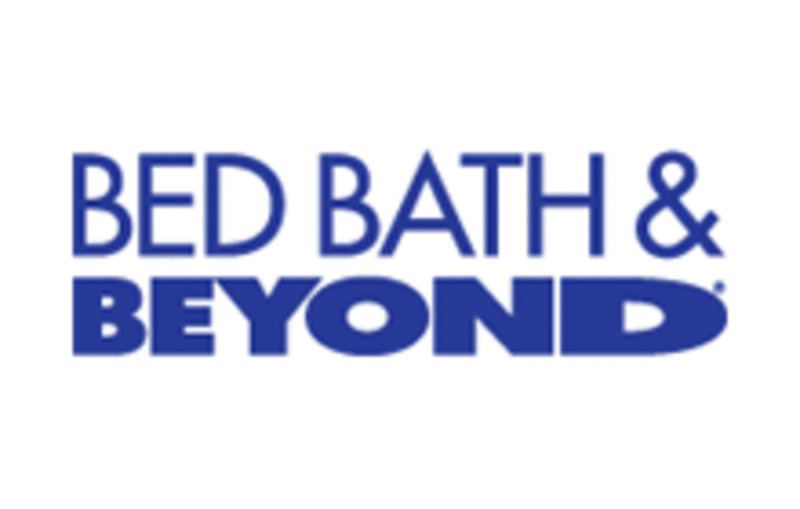 You can purchase building materials and household goods for a fraction of the retail price. All items are new or very gently used – no junk. Each store is different and many are only open a few hours one day a week. Call your local one for more information. I have done better purchasing online or through the Habitat store for nearly every single home improvement project. I love beads and jewelry. I get great deals on these types of supplies on eBay. There can be junk there too, so take your time and carefully review your sellers feedback. Look for mom and pop shops to support when possible. We have a local grocer who carries a lot of items for the same or better prices than Aldi's. I frequent their store to give back to my local community. That doesn't mean I don't use chains, however I tend to avoid big box stores that are not as cheap as they proclaim and who tend to destroy small businesses wherever they spring up. Aldi's is a great chain store for basic staples. They have great prices on milk, soy milk, produce, cereals and coffee to name a few. Yes, they carry a lot of prepackaged foods that aren't the best for you, but they also have lower prices on staples than most other places. Ruler foods is another similar chain that is owned by Kroger. Local health food stores tend to be pricey on many things, but one area they have an advantage is bulk herbs. If you cook a lot and love to make your own spice blends, I recommend searching out a local nutrition store that carries bulk herbs. You will save a LOT of money buying them this way. Dollar General is a great chain because they are a discount retailer that still takes coupons. I find all sorts of personal goods like feminine products, hairspray, paper products and more for less than the local big box store. Deals or Dollar Tree are perfect for gift bags, balloons, part supplies, craft supplies, hair clips and ties, and other odds and ends. A gift bag here may cost 50 cents to a dollar where other stores charge twice as much or more. Avoid dollar store batteries however as those brands do not last as long. Springtime can be a great opportunity for finding great buys as yard sale and rummage sale seasons begin. Many towns have community yard sales on the same day and often churches hold large rummage sales. Going to these larger events insures variety. With these sales the early bird catches the worm, arrive early but not before the scheduled time. Most sellers don't like it when you show up before their sale time trying to haggle. Be patient and courteous. Yes we all love gifts and luxuries. When considering a gift for yourself always put your money towards an experience over a trinket. Why? Experiences are the spice of life. People will remember an experience a lot longer than they will remember an item. What would you rather have an object or say a day trip to a new location or even a session with a massage therapist? Consider luxuries and save up for meaningful treats for yourself and your family – you work hard and you deserve them. Homemade gifts are not “cheap” and are often very appreciated. A couple of years ago I created homemade spice blends and placed them in baskets with a nice cutting board, set of dishcloths, basting brushes, and oven mitts. I bought all of the contents of the baskets on sale earlier in the year except for the herbs. I bought those from a local shop in bulk (less expensive and fresher) placed them into dollar store containers with custom labels. People flipped for these baskets and they are still talking about them. Each basket was approximately $20 in materials. Meaningful homemade gifts that people will actually cherish and enjoy are preferable to cheap store bought gifts that have no real love or creativity behind them. Crochet hats and scarves, restore old photos and frame them, scan old photos and upload them to a digital frame (buy online earlier in the year). Use free software like Windows Movie Maker to arrange a photo slide show and burn it to a DVD. All of these things can help you give meaningful birthday and holiday gifts that people will cherish. Finally... whew - It's all in the Attitude! I am a firm believer in “law of attraction”, because I have seen how it has worked both for me and against me in my life. When we approach frugal living from a poverty mindset (sacrifice, going without) it can set us up for failure. When we believe we are broke, don't have enough, money is hard to come by etc. those things become a self-fulfilling prophecy. We get into the mindset of scraping by, barely making it, a step away from ruin, instability – and guess what follows? That being said, when frugal living is approached as a personal challenge, an accomplishment – it makes you feel good and that in turn frees up more resources and helps you live more abundantly. You begin to appreciate what you have. It becomes fun to find new uses for things and to find new ways to save – almost like a game. Rather than focusing on what you don't want – more debt, bills, etc. Focus on what you do want – to be organized, in control of your own destiny, and at peace. Start thinking in new ways. Plan out ideas that will help you attract and make more money. This comes from an abundance mindset – not poverty. Start with $50 ideas. This is a doable goal and something almost any of us can do quickly with very little effort. Sit down and brainstorm what you can do today to draw in an extra $50 in income. 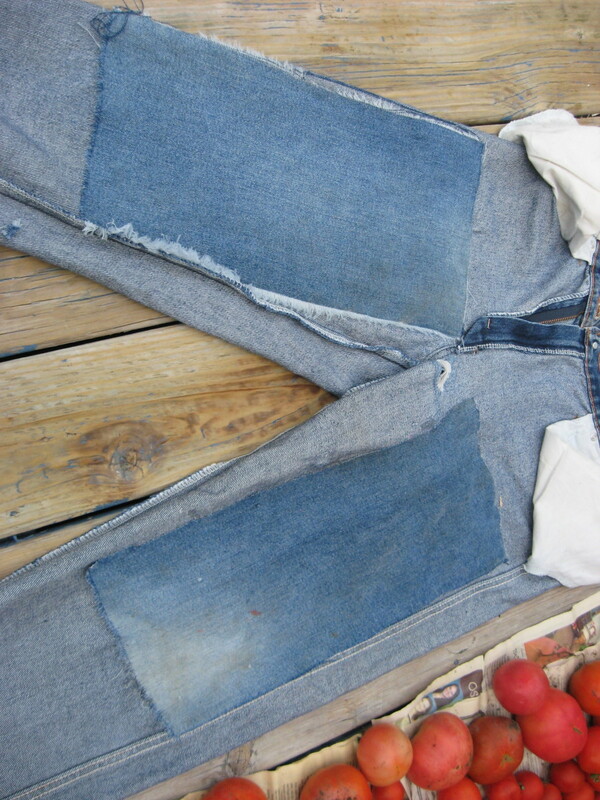 Perhaps you are savvy at sewing – offer to do some alterations for someone. Maybe you have tons of things in your home you aren't using anymore. Have a garage sale or sell some items at a consignment shop. Use your creativity to come up with an idea to make fifty extra dollars in one week. It is a doable goal. What happens is when you actually accomplish it is you become motivated to continue doing it. This can lead to very profitable sideline businesses. Why? Because you challenged yourself to think creatively, were proactive and abundance followed. Successful frugal living is ALL about attitude first and knowledge second. Hopefully this hub has given you many great new ideas on ways to both save money and attract more genuine prosperity into your life. ** If you enjoyed it please comment and/or share this hub with others. Did you learn some new ideas here today? These ideas are lame and there's no way they save you money. I'm a cynic! I'll share some thoughts or tips of my own in the comments! You're very welcome Tracey. Thanks for reading and commenting. Just came across this post and love, love some of these ideas. Thanks! Thanks so much rose, appreciate the read and comment. Thanks for the read and comment Sparrow, glad it inspired you. Great hub.saving money,I enjoyed this hub . So many great ideas, Christin! Thank-you for taking the time (must have been a lot!) to put these tips and suggestions together. Some of these I already do, but you've inspired me to reach the next level. Great hub! "Shop in your own backyard," LOVE it. I live in NYC, and actually tried this one summer. BEST TASTING summer ever. Fantastic hub. I love your point about not saving by buying junk food...as u will ultimately pay with your health. As for soap-making I've recently started making my own. Much more natural. It depends on the vitamin Marlo - most of your name brand vitamins are not good quality and don't absorb properly - so in that instance it doesn't matter what you are spending if you aren't getting the benefits. It's better to spend a bit more for high quality vitamins that work - and can help protect your health, than ones that mostly filter out through your urine. Great Hub! Regarding your comments on vitamin purchases, I buy BOGO Free name brand vitamins - coupled with using coupons - and feel like that saves me money AND I am getting a good brand. Your thoughts? Thanks credit - I'll take that as you enjoyed the hub :) I appreciate the read and comment. The only word I have to say is WOW!!! Thanks so much for the read and positive feedback Kathleen. It means so much when people take time out to do so. So glad you have found good use from it. First, let me applaud you for taking your time to publish this list. You have inspired me to look at things in new ways. So many useful suggestions. Thank you for your generosity. You are awesome. I hadn't even noticed typos Kristen :) no prob happens to the best of us. I meant wonderful and wonder. Sorry for typo. What a wonder frugal money-saving list. Way to go! Awesome tips. I'm working on free indoor (and some outdoor gym ideas hub) real soon. So I agree with you there. Some tips I'll keep in mind from here to save money elsewhere. Voted up! Hi Aesta1, I understand trust me. It can be easy to slip back into old habits without due diligence. Fortunately though, you recognize it and can get back on the path strong. Best wishes. I am guilty of so much waste. We always over buy and so things get thrown out. I used to practice many of these things but have just gotten lazy. Time to take it seriously once more. Thank you ArtDiva so glad you enjoyed the hub. I agree, when we start paying attention you can really see all the small ways that money just slips away. This is some list. I've been living a little leaner these last many years out of necessity. You do live more frugally and discover where a lot of money is just dribbled away. Good article. Thank you Low Check Kian for the read and comments, glad you enjoyed the hub. Thanks Georgina - very good advice on checking the water meter regularly - slow leaks can really catch up when they go undetected. Great article! Pleased to say I'm already doing a lot, but you've given me great ideas for more. My big bugbear is the coupons, as they're often for really poor quality, trashy food. Oh, and I'm a big fan of checking my water meter weekly, to see how much we're using and to check for otherwise undetected leaks! Rating and sharing. Thanks Thrifty - glad you enjoyed the hub. Great hub. I got some great advice to add to my passion for money-saving in life! Looking forward to reading more of your hubs! Thank you cinderella, so glad you enjoyed the hub. I appreciate the read and comment. I agree that we should practice frugal living at all times, most especially nowadays when the prices of prime commodities are soaring up high. I always see to it that we make most our of anything that we have. We are in the country where making money is difficult due to lack of opportunity in our place. This is a truly wonderful hub. Ok then peach, thanks for stopping by and not reading the hub? Lots of great ideas to choose from. I love my dehydrator and make healthy fruit roll ups and other snacks. There are times where coupons can save us a lot of money on healthier items at the store as well when I don't have time to make my own. Wow! You have presented many great ideas. I am going to start tomorrow! I love the idea of making my own laundry detergent and soap! However, does your laundry detergent work well in HE machines? Thanks cindy c. glad you enjoyed the hub. i love all these ideas, thanks. It's amazing to think of all the money we waste on products that we can make ourselves. Frugality takes time and effort - you will only save what you put in! I love the crockpot :) especially in these hot summer months when I don't want to turn on the oven/stove. Thanks for reading and commenting aerospacefan - glad you enjoyed the hub. All excellent ideas and suggestions. I have been using a crockpot for YEARS by the way. I make a chicken and it lasts the entire week. This is great information, even for those who are not on a tight budget. Thanks Rosemarie :) It's kind of my passion and I'm so glad you found some useful tips in it - that means it's helping people as I intended :). Thanks so much for reading and commenting it means a lot. I adore this! I blog about saving money and being frugal and I thought for sure that I wouldn't learn anything.... Pssshhhh... There were tons of ideas that I took away from this! Fantastic post! Thanks again! Thanks for the read and vote velzipmur much appreciated. Thanks Paula :) Much appreciated. I find it fun also, I never have had the desire to spend too much for something. Christin.....I knew there was a special reason I like you! Nothing like putting some effort into being "frugal" that impresses me more. I'm not able to understand why so many people don't find this very important. I'm nearly obsessed with this. I find it FUN, because it really is a challenge and the results pay off---literally! Thanks Natalie. I don't happen to have an bread machine recipes that are gluten free that I find worthy enough to share unfortunately, but there are likely several on HubPages if you do a search. I know they have mixes in the store also, but honestly, I've yet to find a gluten free bread I really enjoy. Thank you for the great tips! Do you have any good gluten free bread machine recipes? Thanks Irene - glad you enjoyed the hub! So many great advises! Thank you. Voted up! Thanks daborn, kids are expensive for sure. I never shopped in retail stores for mine when they were little because they grow so fast. These are excellent tips! I'm a bad about buying things on sale I don't really need. Great advice! Great ideas and a great philosophy behind them. Living frugally has allowed my husband and I to build a property portfolio worth over $2.5 million to work towards our dream of early retirement. Wonderful list, so thorough. I will use many of these ideas. Thanks Raine - glad you enjoyed the hub. Thanks for this very useful and well written hub. I'm going to try your washing power recipe. AJ, we live in a very rural community and where possible I support local shops and encourage others to also, however not everything can be bought locally, and not everyone can afford to buy everything locally. I appreciate your sentiment, but most of us do the best we can with what we have. Thanks for reading. I love this. One hiccup though is in the mention of Amazon right next to favouring mom and pop shops. Amazon, like Walmart, undermines small businesses. We have made the decision to pay more and shop local. While they may not be the cheapest for our family, it's our investment in our community. Great ideas to save money. I like your hub. You did an excellent job. I like some of your ideas to try. For example, I need to unplugge the cords of the equipment. I do not use every day. Thank you for sharing your thoughts miss. Cristins. Wow! Anything I want to know on how to live frugally is in this post. From kitchen to gift. Thanks for the read, vote and share. You're so right - there are always ways to reuse and save money - not to mention the environment. Love the planter idea with the plastic tubs. Wow there are lots of useful tips in your article. When I read the first items in the first segment of your kitchen items, I have all those. I always try to find a use for something that I am or might throw away. I compost too...yep just put it in a hole in the ground. They used to sell cat litter in plastic buckets....I reused them for planters. You can also re-use your ziplock bags by washing them out and drying them....you might have that in your hub already. There are lots of things you can do to save money. Voted up, useful and awesome and interesting and am going to share it. Holy moly! That is a lot of great advice! I grew up with an urban vegetable garden in my backyard. My parents were such green thumbs and having accessible, fresh vegetables really helped us stay on a budget. Thanks deliberate :) always new things to learn when it comes to living simple. Glad you enjoyed the hub. the homemade laundry detergent is the BEST I've ever used and it lasts a very, very long time. Thanks Torrs13 we love our homemade detergent - saves a ton of money and works amazingly well. Thanks for the read and feedback - glad you enjoyed the hub. Excellent work and very useful! So many amazing tips here! I also find Amazon Prime to be a money saver with all the different things I like to buy online. I never got into couponing but I will use one every now and again when it's or a product I use. I will have to check out the recipes detergent and other cleaners because buying the regular stuff is getting old! Oh how did I forget you were my go to hubber for frugal stuff!!! Great hub! Shared! Love your article. These are the types of articles that i love to read. Informative and fun. Great Hub! A lot of great ideas!